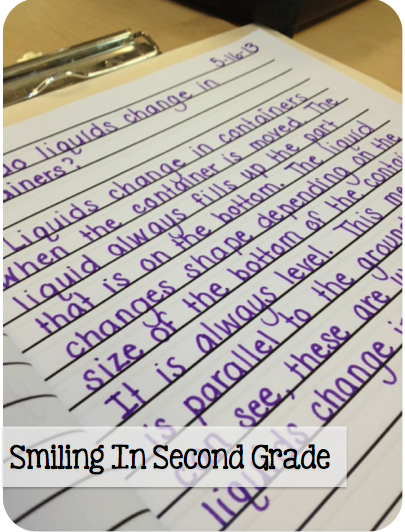 Smiling in Second Grade: Liquids! As part of our Gems-Net Science Kits, we are exploring solids and liquids. We finished up solids, which you can read about here, here and here! The students had a great time with all the hands-on experiments. Now it's time for liquids. We learned that the properties of liquids include transparent, colored, translucent, viscous, etc. 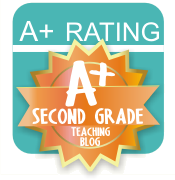 Big words for second graders! They are soaking it all in, though (haha, get it?). 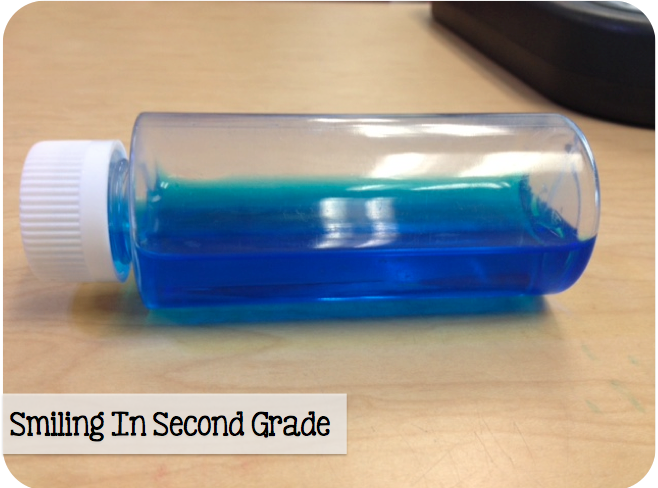 Today we learned about liquid levels in a bottle. 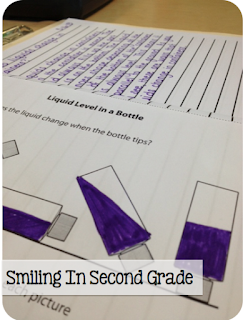 We explored what happens when a container is tilted, placed on its side and then upside down. Then we answered the question, "How do liquids change in a container?" A major part of these kits is writing in response to their discoveries. My students are definitely becoming better writers! The vocabulary they use is just as impressive. Here's a picture of one our liquids rolling around! This looks great! I've never tried GEMS - Net Science Kits - I'll have to look into those. 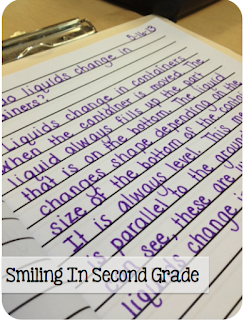 Thanks for sharing the fun science activities you're doing with your kids!